The National Dance Federation wants everyone to fall in love with dance, and National Dance Week is just the time to do it! With so many types of dance, there are ways to enjoy this activity throughout one’s life. This week has been established to introduce the fun and benefits of dance in schools, community centers, dance studios, and through special performances. If you—or your kids—feel your toes tapping or a desire to get up and move as soon as the music starts, why not check out the opportunities for learning your favorite dance styles in your community? Even more than “tea parties and dancing and wearing her hair in pigtails…Maria loved churros.” So when she saw that a lifetime supply of churros went to the matador who could remain in the arena with the bull the longest, she knew she had to enter the contest. But as “one of the smallest girls in all of Spain,” could Maria pull it off? She knew she couldn’t outrun the bull, intimidate him, or overpower him. So, what could she do? Maria kept her mind on the grand prize even though she was growing worried. Soon the bullfight began. The fastest matador was quickly run out of the arena, the strongest matador was soon lying on the ground, and the biggest matador was nothing but a plaything for the big bull. At last it was Maria’s turn. She entered the ring and saw “the most ferocious-looking bull she had ever seen, but she marched up to him anyway…and asked the bull to dance.” The bull was charmed by the little girl’s kind request and offered his hoof to her outstretched hand. The bull, it turned out, was a very good dancer. Around and around the ring they danced, and when the men carrying trays of churros entered the arena, “the crowd burst into thunderous applause.” And Maria and the bull? They enjoyed a churros tea party! Anne Lambelet’s highly original story shows young readers that with motivation, confidence, and creative thinking they can accomplish their heart’s desires. With a pragmatic take on her situation, Maria realizes she’s not fast enough, strong enough, or big enough to best the bull the usual way, and lacking anyone to ask for advice, she comes up with her own solution. Lambelet’s storytelling is rich with examples of Maria’s courage in the face of adversity and her own misgivings, allowing kids to see that bravery comes in many forms. And Lambelet’s clever solution to Maria’s dilemma demonstrates that kindness wins out. The humorous frame of Maria’s churros obsession will resonate with kids, who all seem to have their own favorite motivators to rely on. Lambelet’s stylized illustrations combine the texture of wood etchings with the colors and feeling of a small Spanish village. The brown, maroon, and purple palette sprinkled with bits of blue is striking and lends depth, light, and shadow to the tale. Kids will love the expressive crowd as they “ooh,” “ahh,” and gasp at the formidable bull. (One mother even shields her son’s eyes with her hand.) When tiny Maria marches out into the ring the crowd’s disbelief brings pointing and shocked faces, but cheers and celebration erupt as Maria and the bull take their bows. Maria the Matador is a story that kids will embrace as it sparks ideas for creative problem solving with more than a dash of kindness thrown in. The book will be asked for again and again and would be a welcome addition to home, classroom, and public library bookshelves. To learn more about Anne Lambelet, her books, and her art, visit her website. I’m excited to be chatting with Anne Lambelet about art, influences, inspiration and what she might do to get her favorite treat! What was the inspiration behind Maria the Matador? Maria the Matador, as crazy as it might sound, actually started out as a dream I had about having to fight a bull! I woke up and instantly felt like that was the sort of silly idea that could, just possibly, be perfect for a children’s book. From there though, it had to go through a lot of development. 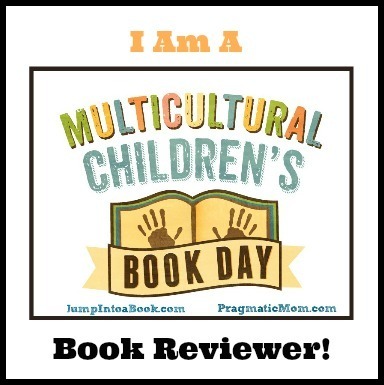 I had to return to my roots and really examine my original picture book influences…The Story of Ferdinand, World-famous Muriel, Madeline, etc. Using those as inspiration, I figured out what it was that had made me love them as a child (silliness, whimsy, problem-solving, getting paid in food), and tried to combine that with what made them stick with me now that I’m an adult…(peaceful, fun solutions in situations where it seems like violence is the only answer, indictments of toxic masculinity, female empowerment, culturally immersive settings). Maria was a long road of editing and re-writing to try and get my favorite elements to co-exist in the same story. You’ve enjoyed success as an illustrator since your college days. Can you talk a little about how you developed your style and how it’s changed over the years? In high school I’d say my artistic style leaned more towards photo-realism. Like most high school students, I accepted a sort of un-original, generic idea of what it means to make a “good drawing,” and, although I wasn’t terrible at hitting that mark, I wasn’t making anything very special either. Without a real sense of artistic individuality and purpose, I shied away from going to college for art and instead chose to major in computer science after graduating. I was, perhaps unsurprisingly, miserable during most of those four years, and I ended up pouring all my free time into discovering new artistic outlets to assuage that misery. What I discovered (online t-shirt design competitions, lowbrow pop surrealism, street art, artists like Gris Grimly, Brandi Milne, Lori Early, Mark Ryden, etc.) gave me a new, darkly humorous and whimsical artistic voice as well as newfound confidence in my skills. So, I put together a portfolio of monsters and creepy, big-eyed women and returned to college to give illustration an honest shot. The classes I took at the University of the Arts exposed me to so many new influences. Each one opened my mind to new, fascinating approaches to illustration, and my style fluctuated dramatically in relation to whatever artist was my latest craze. As a result, most of my sophomore/junior work just looks like one bad rip-off after another. The more influences I accumulated though, the more I began to figure out what about each “rip-off” had worked with my own identity and what didn’t. I started cherry-picking little bits of each style I’d loved and mushing them together into an amalgam of aesthetics and techniques that could begin to be called a “unique style.” Instead of stealing everything from one artist I liked, I stole one thing from every artist I liked, and, by the end of my senior year, that resulted in basically what you see now! Style takes a lot of failing and soul-searching and figuring yourself out. I feel like I’m still evolving and changing to this day, but the increments of change get smaller and smaller every time. What were your favorite books growing up? Who were your artistic influences when you were a child and now? Oh wow, picking favorite books is so hard. There are so many to love, and it’s a struggle to narrow them down! I’ll try though! For picture books some favorites were World Famous Muriel by Sue Alexander, The Jolly Postman by Janet and Allan Ahlberg, Cloudy with a Chance of Meatballs by Judi Barrett, Santa Calls by William Joyce, and The Eleventh Hour by Graeme Base. I also adored almost all Dr. Seuss books, but especially McElligot’s Pool and Happy Birthday to You. I liked picture books that were whimsical and imaginative while being infused with a sense of humor as well as emotional poignancy. Interactive elements like the letters in The Jolly Postman or the hidden picture puzzles in The Eleventh Hour were always great too. Then, as I grew out of picture books, I began a love affair with middle grade fantasy that has persisted to this day. Favorites then became Harry Potter, Brian Jacque’s Redwall series, Dinotopia by James Gurney, The Phantom Tollbooth by Norton Juster and The Lioness Quartet by Tamora Pierce. Also, although it’s not fantasy per se, I think Holes by Louis Sachar is one of the greatest kid’s books of all time. Because of my love for fantasy, I spent most of my childhood drawing dragons and fairies and other mythical creatures. As such, major artistic influences back then were Brian Froud, John Howe, Jan Brett and James C. Christensen. I also loved looking at my older brother’s Magic: The Gathering cards and watching Jim Henson movies like Labyrinth and The Dark Crystal. Unfortunately, as previously mentioned, I lost sight of that important self-defining nerdy-ness in my high school art. I guess I was trying to be “too cool” or something, haha. I re-discovered them again later, though, and incorporated them into new influences I’d found that also dealt with whimsy and nostalgia. My current greatest influences are Eyvind Earl, Carson Ellis, Julia Sarda, Rankin/Bass’s The Last Unicorn and Cartoon Saloon’s Song of the Sea. In Maria the Matador, Maria will do anything—even get in the ring with a bull—for lifetime supply of churros. What’s your favorite treat and what would you do for an endless supply? I’ve given this a lot of thought, and I think my greatest food weakness is doughnuts. If a doughnut enters my field of vision, I just can’t not be immediately hungry for doughnuts. I don’t know what I would do for them. Right now, I feel like the struggle is to stop myself from eating them, not to get more. I do really dislike public speaking and cleaning the toilet, but I think I’d probably clean the toilet while reciting the Gettysburg Address in front of a very large audience if I was promised a bunch of doughnuts afterwards! When did you become interested in writing and illustrating picture books? Can you describe your journey to publication? Since before I can remember, I’ve always been making up stories and characters and illustrating them, but, like I said, I didn’t always believe in my ability to leverage those skills into a viable career. I think what really changed my mind was being introduced to online t-shirt design competitions where I got hooked on having to design around certain prompts and parameters, meet deadlines, and then sometimes (miraculously) even get paid for my work! I realized the potential to build a career on doing that professionally and that’s when I officially decided to go back to school for illustration. Then, throughout all that soul-searching for style I previously mentioned, I discovered that a key, defining aspect of my art is nostalgia. I realized that, all along, every drawing had been an attempt to re-open the floodgates of imagination that had flown so freely in my childhood games of pretend. At some point in my time at the University of the Arts, I figured that if childhood was where my heart was, then the people that I should make illustrations for were children! After that I joined SCBWI which provided me with a ton of essential resources for embarking on the journey to publication. I got an agent through a local SCBWI pitch day and we workshopped Maria a little bit but ultimately made the mutual decision to go our separate ways. I regrouped after that setback, used the SCBWI handbook to create a small list of dream agents, and sent my portfolio out to all of them. A little while later, I got an email from Stephanie Fretwell-Hill at Red Fox Literary and immediately felt like she was a great fit. Stephanie helped me re-visit Maria and while we were polishing that up together, I attended the SCBWI winter conference in New York where I went to a breakout session hosted by Kristen Nobles of Page Street Kids. She said she was on the hunt for new manuscripts so almost as soon as I got back, Stephanie and I made sure to get Maria in front of her. Luckily, she liked it, and within a few months, we’d signed a contract for my very first author-illustrated picture book! You have another book coming soon from Page Street called Dogs and Their People. Can you give readers a sneak peek? In your bio you mention that you have a dog Eevee (that’s such a cute name!). What kind of dog is she, and is she like you or anyone in your family? If so, how? Dogs and Their People is basically an anthology of different types of people-dog relationships tied together by who the narrator sees on her walk home from school. There are small people with tall dogs, people and dogs who share ice cream, and even pairs with matching mustachios. Some people are just like their dogs and some are very different, but no matter what, each person and each dog is clearly with their very best friend. When the girl finally makes it home, the best friend that she has waiting for her provides a surprising comedic twist to the story’s end. My dog, Eevee is a chowbrador (a mix between a labrador and a chow-chow). I definitely think she and I have a lot in common. She’s a little aloof for a dog, and it takes her a little while to warm up to new places and new people. However, once you’re “in” her enthusiasm to hang out with you will verge on embarrassing. She’s completely comfortable spending time alone, but she’s still very excited when she gets to have all her favorite people in one place. And lastly, like me (and Maria for that matter), she is highly food motivated and loves her snacks! What advice would you give a young person who would like to pursue art as a career? Never be ashamed of what you love even if—actually especially if—it’s something that you feel like no one else loves. Your personal combination of unique interests is going to be what makes your artistic style something the world has never seen before. Also, understanding why you love that thing that no one else loves will be a big clue to figuring out your ultimate purpose as an illustrator and/or author and the types of messages you want to convey. After Dogs and their People, I illustrated another picture book called The Traveler’s Gift by Danielle Davison. That’s set to hit shelves in October of this year. I’ve also just begun work on two new picture books, How to Build an Insect by Roberta Gibson for Millbrook Press and The Poisoned Apple, my third author/illustrated book with Page Street Kids. Both of those are set to come out fall of 2020. I’m super excited about both of them! Oh boy…another hard choice to make. It might be cliché, but I’ve always loved Christmas. I love the decorations and the lights and the food, and I love spending time with my family and re-visiting all the good memories and traditions we’ve built since I was small. I also consider myself a champion gift-giver and getting to see other people open gifts from me is way more fun (in my opinion), than getting to open my own. A close second, though, would be Halloween. Once I’ve thought of a costume idea I really like, I feel giddy anticipation about it for weeks to months in advance. I remember one Christmas Eve when I was very little, my mom was reading me a bedtime story. Meanwhile, my dad went outside, stood under my bedroom window and shook a set of sleigh bells. My mom convinced me that it was the sound of Santa’s sleigh flying by overhead. It was probably one of the most magical moments of my life, and I love that my parents were so enthusiastic about making the magic of Christmas seem real for me. One of my favorite things about both Christmas and Halloween is that, as a kid, they made me feel like there was actually magic tucked away in the unseen corners of the world…whether that be toy-making elves at the North Pole or a ghost in an old, abandoned house or just the promise that if you put on a mask, you can become whoever you want. I think the best children’s books bring that same promise of magic to the world, and that will always be something that motivates what I create. Thanks, Anne for this amazing talk and the reminder that people should always embrace their uniqueness and be true to themselves. I wish you all the best with Maria the Matador and all of your upcoming projects! There are so many different kinds of dances to learn and enjoy! Can you find the sixteen styles in this printable puzzle?